River North's most extraordinary Loft building! Nearly 1000 sq ft concrete loft, easy wide open floor plan in a fabulous River North location! Huge living-dining areas, newly refinished hardwoods, freshly painted w/ lots of windows & south facing bringing in a ton of natural light. Bright white kitchen w/granite & butcher block rolling island. Master bedroom w/lots of closets. Large 3 piece bath w/Jacuzzi tub. In-unit washer/dryer & balcony for grilling. Loft living w/high-rise services--workout room, 24 Hr doorstaff, cleaners, outstanding workout/studio for yoga, recently remodeled/renovated rooftop deck with 3 large BBQ's - tables and lounges, bike room, receiving room and is pet-friendly!! Price includes one exterior parking space (168) and storage locker. Move-in ready or blank slate to turn this loft space into a gem! Steps to Erie Park, Erie Cafe, Brown Line, East Bank, easy access to expressway. 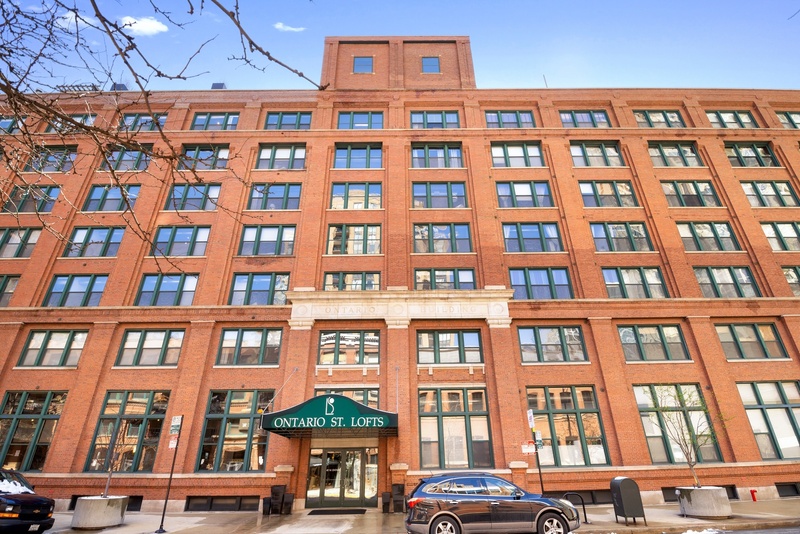 Please, send me more information on this property: MLS# 10268212 – $299,900 – 411 West Ontario Street 227, Chicago, IL 60654.